The Southern Fells include the highest, roughest, grandest fells in Lakeland including the highest mountain in England, Scafell Pike. Wainwright – a fell-walking legend in his own lifetime – knew the terrain and conveyed its grandeur and beauty like nobody else. In this unique Pictorial Guide, he writes of the glorious curves and simple grandeur of Great Langdale; of Wasdale, "an emerald amongst sombre hills"; of enchanting Borrowdale; of the sparkling radiance of the Duddon; and of the most delectable valley of all – Eskdale, "sanctuary of peace and solitude". The Pictorial Guides by Wainwright, written half a century ago, have been treasured by generations of walkers. 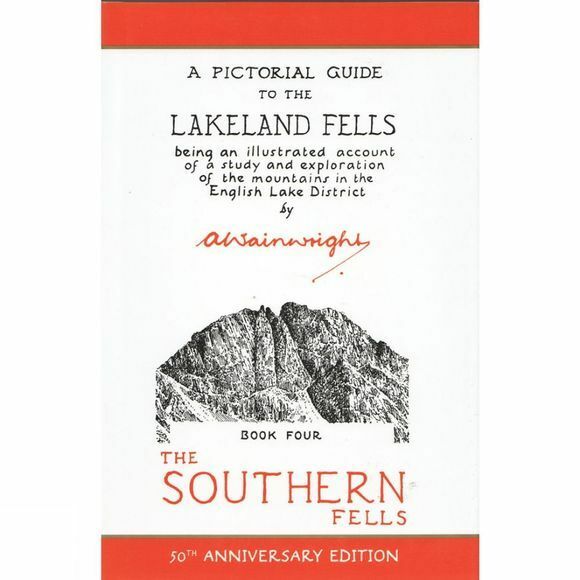 This edition of The Southern Fells is freshly reproduced from Wainwright's original hand-drawn pages.